Contact forms are ways users start conversations with you, so it’s important to make a good first impression. To make one from scratch, you need coding languages such as HTML to create the structure, and CSS & PHP to make it look good and work well. And then you need it to work on mobile. A lot of work, but there is a better solution. Here's where 123FormBuilder comes in handy. What’s better than a contact form plugin? Well, whether you are tech-savvy or not, with 123FormBuilder, you can create a contact form with easy drag and drop. No coding! 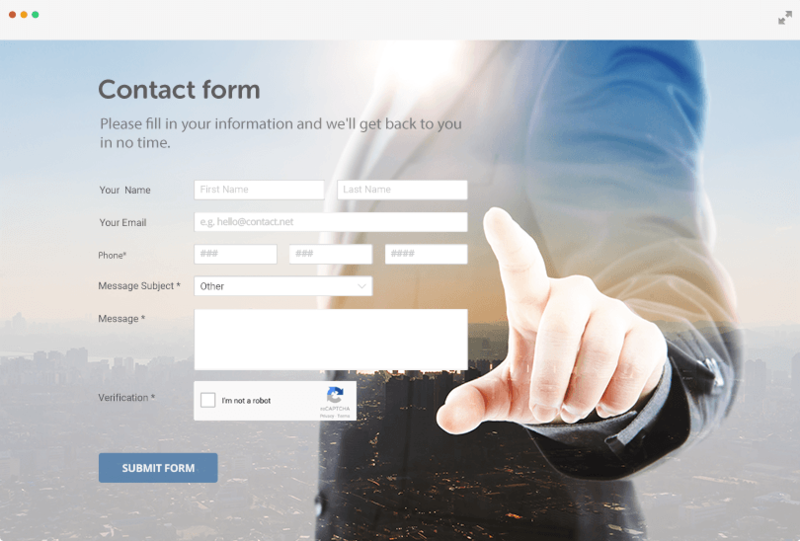 Create a user friendly contact form so versatile that it can accomplish multiple tasks. Find exactly the information you need to collect by asking the right questions. Add multiple types of input fields such as text boxes, radio buttons, multiple choice field, address fields and rating fields to make your contact forms complete. Make your user’s interaction more personal with access to advanced features such as conditional logic that show or hide questions based on user’s input, redirect to certain pages or trigger a specific autoresponder. Do it all by yourself, our form builder is loved by non-techies! Take your custom contact form even further. Give your users the option to choose the language of your contact form before filling it on your website. Turn it into a multilingual form in a snap. Our form editor lets you configure the whole form’s text, from field instructions to error messages. Have your online forms fit your brand by customizing every inch of your contact form design inside the advanced form editor. Change column layout, field colors, submit button color and the logo to make your form stand out. 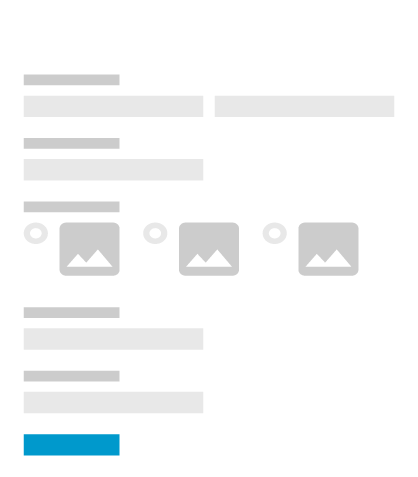 Create and save your custom themes so they can easily be applied to all your online forms. In an increasingly mobile world, not adapting to small screens can kill your business. 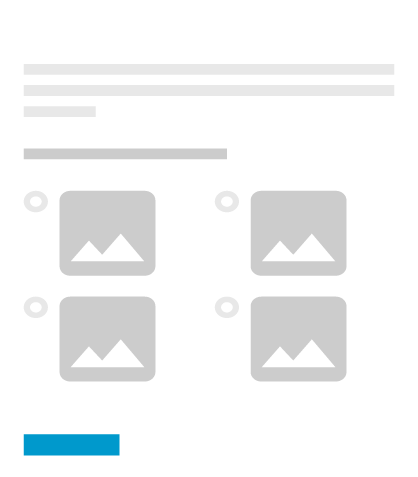 We’ve got you covered - all forms created through 123FormBuilder are mobile responsive, and fit on any phone screen so that your users can respond on the go. So take your contact form for a ride on your mobile device! Online forms created through 123FormBuilder can fit even more roles such as order forms for your ecommerce site, quizzes for your students, polls and surveys for your market research needs or feedback forms to collect constructive opinions - it’s all here. We also address enterprises and institutions that deal with complex organizational structures and large amounts of data, through our complex workflow automation branch. 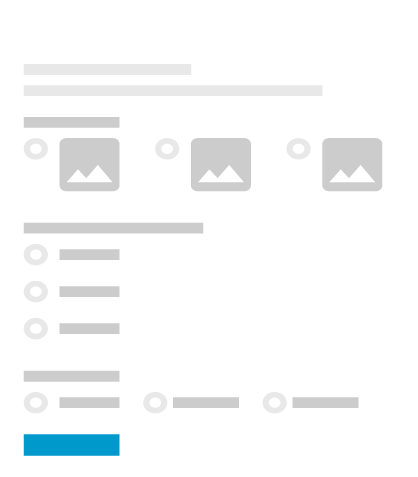 Notify your whole team Let everyone in on your project by sending emails to your team when a response is submitted. Customize the subject line, body and the notification email so it doesn’t get lost in your inbox. What’s more, you can include a PDF copy of the response! 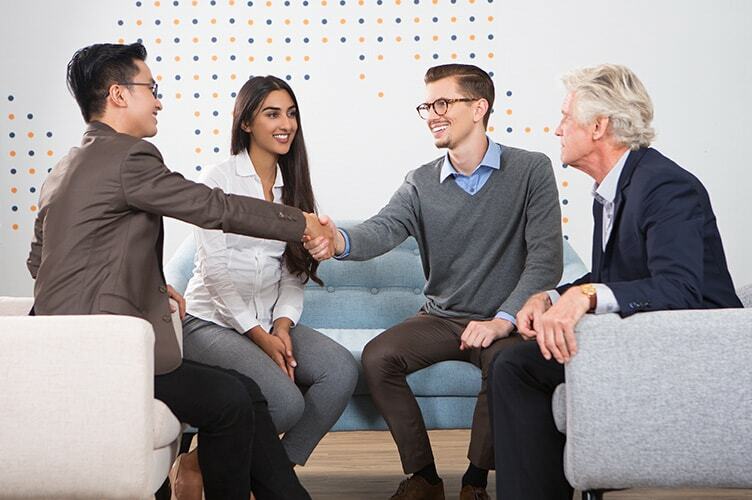 Connect your contact form to other big platforms Streamline your work by bringing your form responses into other applications such as Salesforce, MailChimp, AWeber, Top Producer, Google Analytics, Marketo and more! You have over 30 third-party apps to choose from. Publish it anywhere Need to reach a larger audience? We’ve got you covered - you can create contact forms for Facebook, WordPress, Wix, Weebly, Blogger, Joomla and more! With 24/7 server uptime, you won’t need to worry about your system status, as users will be able to fill in the form anytime. Lead Generation Capture leads for your marketing campaigns, real estate website or business consulting service by adding email address fields. Furthermore, manage your form submissions better by integrating data with your CRM or email marketing software! Application Forms Having people email their application to you is a thing of the past. Create fast, secure contact forms for job applications. Your HR department and organization will surely love to have them! Collect CV’s and other file attachments, and store them in your 123FormBuilder account for centralized access. Event Registration Need a way to book tickets to your event? Have your simple contact form turned into an event registration form. Show the Google Maps location, the number of seats left, and even more - sell tickets directly through the online form by integrating PayPal, Stripe or Square! Forget writing your own HTML form from scratch, we’ve got a whole library of form templates to choose from. You will surely find a form that matches your need - check it out.